The Hits breakfast presenter Brodie Kane can’t wait to be part of next month’s Kathmandu Coast to Coast. She finished her first marathon last year inspired and motivated to keep the running up so set her sights on the tough 30 kilometre mountain run that has multiple river crossings as it heads through the Mingha – Deception valleys and crosses Goat Pass in the heart of the Southern Alps. “After my first ever marathon I kind of figured there's no point doing all that training to just throw it away, so I decided to get off the road and up the hills to keep the training up and keep me on the straight and narrow over Christmas,” Kane said. Kane is not a complete stranger to the event, doing it in 2011 in a two person team with her mother where she did the run off the beach and the first 55 kilometre cycle leg, the short 15 kilometre cycle and the stunning 70 kilometre kayak down the Waimakariri River. 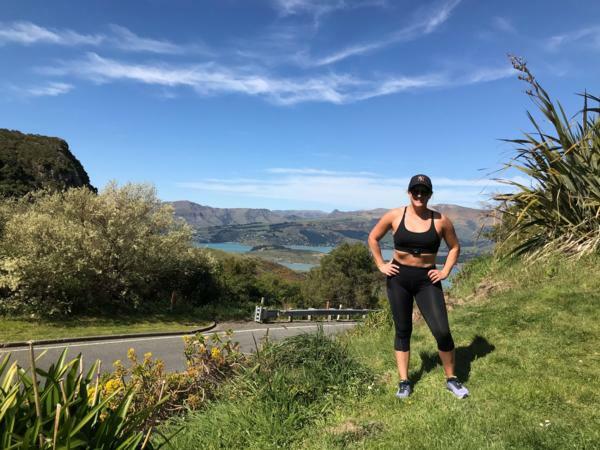 She moved home to Christchurch last year to work on The Hits Breakfast show with Dave Fitzgerald, and says she’s loving living in her home town again and has fully embraced its easy access to the outdoors. Kane admits there wasn't a lot of running over the Christmas Break so says she’s now in a mild panic of last minute cramming phase. “But I'm thinking – and hoping - I've got a really good base fitness that will help me through, plus a few more big hills between now and then and I'll be sweet,” she said laughing. The Kathmandu Coast to Coast is internationally recognised as the birthplace of multi-sport and adventure racing with the first official event held on February 26 and 27 in 1983 with only 79 competitors. The event has become a rite of passage for multisport athletes from around the world with over 19,000 people having competed in the event over the years. It sold out last year for the first time since 2004 and next month is set to be see the largest number of competitors, 1,030, take part in the 234 kilometre journey across the South Island in its 35 year history. Loren Heaphy, ChristchurchNZ General Manager Destination and Attraction, said the Kathmandu Coast to Coast has long been an iconic event for the South Island and for Canterbury. “The Kathmandu Coast to Coast is a landmark event on the trans-Tasman sporting calendar, and continues to bring Christchurch and Canterbury into the spotlight. Heaphy said the best way for locals to be involved was at New Brighton beach on February 9, to catch competitors like Brodie at the finish line.